From enhancing the quality of life-saving healthcare to providing a level of inclusive entertainment that’s never been seen before, the potential for remote augmented reality is seemingly limitless. AR’s seemingly limitless possibilities might well make it the most exciting emerging technology on the planet today. The industry surrounding augmented reality along with virtual reality is forecast to attain a value of over $25 billion by 2025. The chances are that you’ve already encountered augmented reality while shopping online or playing gaming apps such as Pokemon Go! 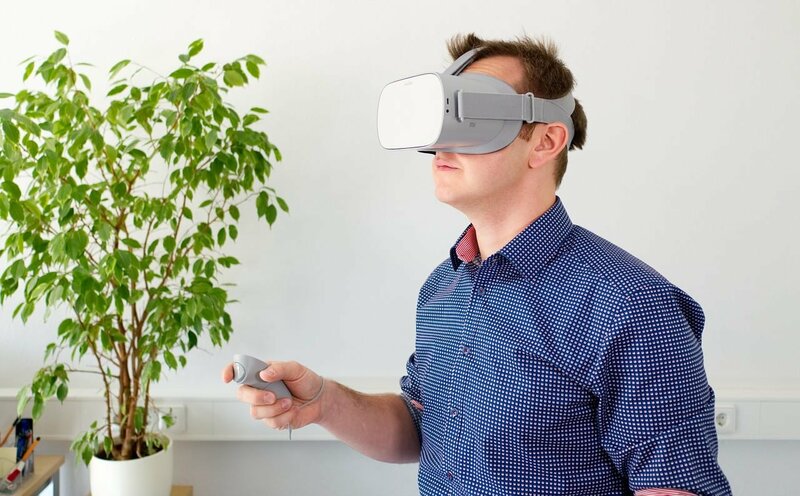 Where virtual reality fully submerges users into a world that bears no resemblance to the real-life scenery surrounding them (typically via the use of headsets), AR is far more adaptable and commonly embeds a virtual layer on top of reality through the use of camera phones/tablets or eyewear. This digital augmentation makes for an excellent visual aid, and retail outlets like IKEA have been swift in adopting the technology to enable customers to render their catalogue items and actually see what they would look like in their homes before making a purchase. One exciting new area that enables AR to really excel is through ‘remote’ augmented reality. The beauty of manipulating your settings with other users remotely is that you can effectively offer your literal point of view to tutors, colleagues or peers and interact gain their informed insights. To help shed some more light on the value that remote AR can bring to a host of industries, here are five game-changing developments in the technology that we can’t wait to see enter the fray. According to Infoholic Research, the augmented reality gaming market is set hit around $284.92 billion by 2023, and remote AR gaming will be responsible for driving profits across the industry. One such company looking to take remote AR gaming to the next level is WATTY. The company’s dedicated app, WATTY REMOTE, actively brings users from around the world together through embedding digital layers on real-life canvases. Users can play games via mobile devices and share their experiences and information through WATTY’s remote AR framework. 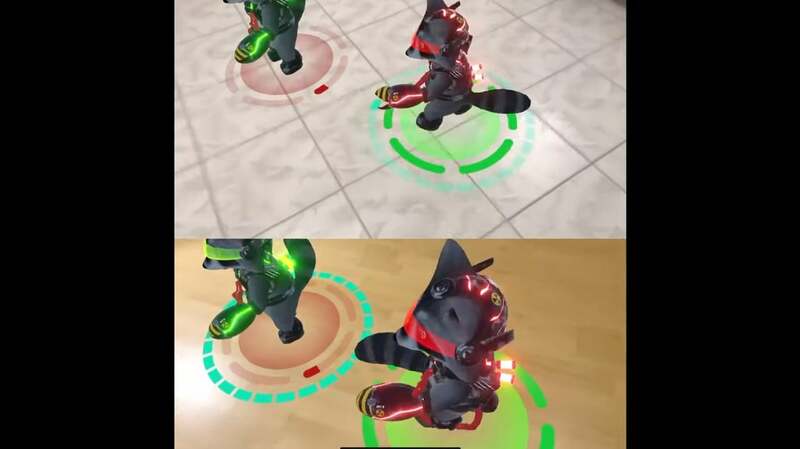 Through ‘Boo’, WATTY’s anthropomorphic racoon mascot, users can communicate with each other or even engage in battles remotely, with their digital avatars interacting with their respective real-world canvases. As traditionally office-based workforces become increasingly mobile, effective remote collaboration tools have become much sought after. Utilising the power of remote AR, Spacial has developed a technology that’s been dubbed by Engadget as ‘the Slack of the future.” Utilising the market’s many augmented reality headsets, Spacial operates like apparatus straight out of a science fiction film. Users can not only visualise each other but also manipulate 3D rendered objects as visual aids. If you’re working with colleagues that need to pass judgement on structural blueprints or visualise landscapes, Spacial could be just what the doctor ordered. Speaking of doctors, remote AR’s influence in the healthcare industry will be felt in the coming years. Imagine an environment where doctors can get swift second opinions before diagnosing an ailment, or where surgeons have a digital helping hand that can create visual prompts on how to approach the operation they’re undertaking. With the use of remote AR, industry professionals from around the world can offer guidance for colleagues by sharing their viewpoint through augmented reality glasses and providing digital directions and notes that appear embedded in front of the subject’s real-life environment. Remote AR could also improve the level of service that patients receive remotely from doctors. Patients will be capable of getting in touch with a practitioner and display their symptoms through a dedicated camera-enabled AR app before the doctor provides digital feedback within the tool. Whether it’s higher education or staff training, remote AR has the ability to herald a new era of tutoring and study support – especially in practical fields. Through educational engagement, tutors can utilise AR to actively peer in on their students’ progress during in-classroom or remote practical tasks, ensuring that nobody is experiencing difficulty or cheating in completing their work. Likewise, when it comes to staff training throughout national and multinational organisations, staff can be appropriately tested and assessed through remote AR solutions – ensuring that all offices and warehouses are as well trained as can be. The appropriately named ‘Remote AR’ app promises to be the best solution for remote business supports, and its developers have set their sights firmly on providing practical solutions to the handling of machinery. The service is designed to provide a remote video connection between field workers and ‘remote experts’ that are capable of providing superior troubleshooting solutions that wouldn’t otherwise be possible by any other means. The beauty of Remote AR is that it’s set to save an innumerable amount of time for workers who will be capable of providing a live visual display of the problems they are having while experts in the field can respond by utilising a digital layer of augmented reality to provide visual instructions and information. The adoption of Remote AR and its ilk will not only work wonders in helping organisations hit their deadlines by seamlessly navigating around potential issues, but also improve worker safety thanks to the level of expertise than the insight that AR can provide them with. Author: Dmytro SpilkaHead Wizard at Solvid, a vibrant team of professional Content Marketers, SEOs, Copywriters and Web Developers based in the heart of London, United Kingdom. Founder of Pridicto, a web analytics startup that enables users to forecast web traffic, monitor vital metrics in one place and set visual traffic aims.